Posted By:Unknown | At:9:08 AM Be the first to comment! 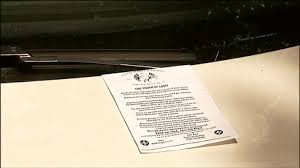 (AJC) -- The Ku Klux Klan has been leaving recruiting flyers on cars in Candler Park and Cabbagetown as part of a national drive to add to its membership rolls. The grand wizard, Robert Jones, confirmed for Channel 2 Action News that the flyers were a product of the KKK. The flyer also advertises a Klan-sponsored neighborhood watch. Cabbagetown resident Catlin Shay-Winkler ripped up the flyer as soon as she spotted it on the car windshield. “They didn’t intimidate us whatsoever,” Shay-Winkler told Channel 2.